Buddha known to be translate into "the awakened one." Buddha is a positive figure who is accepting of all regardless of a person's color or religion. 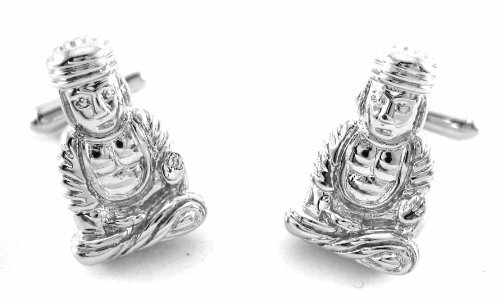 Show your support for such a figure that accepts all with a pair of this praying Buddha cufflinks. These cufflinks also make for a great gift to give to fellow followers of Buddha. 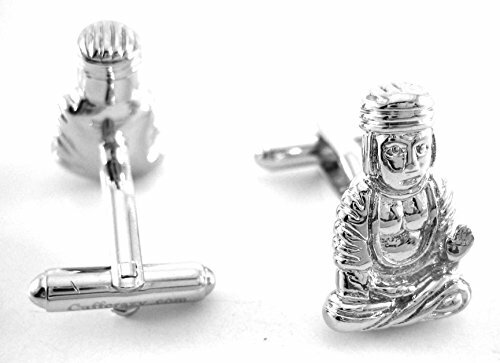 Each pair of cufflinks wonderfully presented in a black gift box.